Workers injured on the job are entitled to medical treatment provided by their employers and continuation of their wages, if they are unable to work because of their injuries. In many cases where the employer refuses to meet its obligation or delays, it is necessary to engage the services of a competent Workers’ Compensation attorney to obtain these benefits through aggressive litigation. 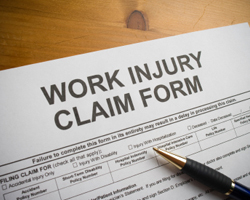 Not only is the employee entitled to medical treatment and payment for time lost from work, but if an injury results in a permanent disability the employee may also be entitled to receive money to compensate for such a disability. We have successfully litigated many claims for medical and temporary disability benefits and handled cases ranging from spinal injuries to repetitive trauma, psychiatric and total disability. We are very familiar with the New Jersey system as we have tried cases in just about every Workers’ Compensation court in the State of New Jersey. When you hire us you are hiring a compassionate firm that cares about what happens to each and every one of our clients. We do not collect a fee in a workers’ compensation matter unless we win the case or obtain a favorable settlement.